I wrote this article as someone who has many years of experience and knowledge of Internet Technologies, but only with an average, everyday knowledge of investment. I think that nowadays, we really do need to combine the two. These are my own considerations and views. But let me say this. In my recent journey in trying to enlighten myself about Cryptocurrency and associated technologies, I have been overwhelmed, almost to the point of mental exhaustion, by the many new things I have encountered and tried to digest. This also applies to many of the other major breakthroughs that I have also come across that have been introduced in recent years, known as Disruptive technologies. There are many and it is a growing list, but a few of the leaders include: Artificial Intelligence, Autonomous vehicles / Self driving cars, Robotics, Internet of Things, Big Data, Augmented reality and of course, Cryptocurrency & Blockchain technology. My advice therefore would be, do not feel you have to learn it all, if you do not want to, just know it is there. Most of us do not know how a television or a computer works, but it does not stop us watching or using it. In fact many people do not know, or feel they need to know, the fine details of how the traditional banking system works, but most of us have bank accounts, savings accounts and credit cards etc. However much you want to learn, just try to take it very gradually over a few weeks, certainly not over a few hours or days. The main thing is that you do not switch off to the future, just because you do not understand it - at least have a go. There is so much resource out there, aside from my small offering here. There are also a great many new terms and words that you will encounter. Many people visiting this website may be completely new to the concept of Crypto currency. "Blockchains & Bitcoins". Let's face it, what does it all mean? Nothing about this technology or its strange transaction methodology is familiar to most of us. Even many of my tech savvy friends and acquaintances say the same to me. "So, you are telling me that men and women mine for digital 'gold', not really by digging, but they solve blocks of complex maths problems with high powered computers. They then get paid for doing this with bitcoins. Oh, and bitcoins don’t actually exist as coins in real life, they are just a digital Cryptocurrency"
You couldn’t really make all this up could you? But, however strange it all seems, just because this is all new to many of us, doesn’t mean to say that we just need to ignore it. But is it really that strange? How many people thought that 20 years ago, we would be sending money by email? Nowadays PayPal has over 230 Million active accounts worldwide and is a trusted, household name, with a simple, secure method of transferring money by email, by individuals and businesses. To begin with, it's really important for us to try to understand at least a little of what is behind Bitcoin and other Cryptocurrencies. Bitcoin is powered by something called Blockchain technology. Apart from enabling the new Crypto currencies to function, blockchain is surely the single biggest thing since the creation of the world wide web itself. Blockchain technology is an extremely secure distributed digital public ledger, which enables peer to peer trust and transparency, whilst removing the need for third parties. It was also invented by Satoshi Nakamoto back in 2008, to enable a public ledger for his Bitcoin to function, but it is now so much more than just a technology for Cryptocurrencies and the financial industry. It can be employed to secure almost any digital asset. Its technology is even today being widely used within many sectors, including Public services, Health, Policing, Security, Fishing, Farming, Education, Transportation, Insurance, Immigration, Real estate, Governmental / Political agreements. Blockchain technology will massively impact all our lives, along with Artificial Intelligence. So even if you are not looking to invest in Bitcoin or other cryptocurrency, I would strongly urge you to make yourselves aware of Blockchain, as it is here today and in one way or another, it will have a big part to play in all our affairs, whether financial or otherwise. Here is a compelling actual working example: The United Nations is using the Ethereum blockchain, to make sure that its precious hard won aid funds, will actually reach the recipients who need it and for who it was intended for. This one project is expected to help to improve the lives of more than half a million people. Which brings to mind the best thing about Blockchain for me - To help to bring about an end to corruption and greed by certain Governments, Institutions and individuals. I especially like what the Ethereum Blockchain is all about. It goes way beyond Cryptocurrency and could well be a specific defining technology in many walks of human life the near future. Back to those of us that are looking to grow our savings. We are running out of options. Certainly in many countries, interest rates are very low and there is very little opportunity to gain a decent return on any investment. Unless you have large sums at your disposal and are perhaps able to engage in real estate. You may therefore be considering whether investing in Bitcoin is the right choice for you. At this stage, in case you have not noticed, I will make my own views very clear. This website does try to represent my own generally positive outlook on the future of Bitcoin and other Crypto currencies, based upon my own good experience. The way that these type of currencies work, is also in keeping socially and morally, with my own views and with those of an increasingly decentralized world. One where all individuals today can be empowered with low cost, smart technology in their own hands, who demand an end to corruption, cruelty, inequality and waste, together with a level of privacy and security that has never been seen before. This site also very clearly promotes a system where Bitcoin can be earned and built up gradually, rather than having to find the money to invest. You can read more at the end of the article and on various other pages of the site. But whether you consider this system is for you or not, you may find some of the following useful, in whatever you choose to do in life. 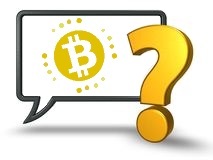 You may wish to ask yourselves some of the following questions, which I asked myself, to help you to decide whether to choose Bitcoin investment over traditional financial products, such as Bank savings / deposit accounts etc. Quite simply, Bitcoin and other Cryptocurrency investment is not for everyone. When is the right time to invest in Bitcoin / Crypto currencies? The time when you feel that you are panicking and the need to "get in there quick". I read something recently by a highly respected investment expert, Alessio Rastani, which I really think we need to take on board. When your chosen Crypto value is falling, do not immediately rush to invest, in the gleeful knowledge that you are buying low and the hope that the price will then automatically go up after you have bought. Beware - the falling value could be like a falling knife. If you try to catch it you will get hurt. The falling value could just continue to fall even further after you bought and never recover much above your investment level, or even worse, stay below it. The best time to invest is not when the price is falling, but when it is "on the turn". This may sound obvious, but it is much easier said than done. If we all knew the turning points, we would all be wealthy (or not). However, so many people do not even attempt to heed it, so I guess it is human nature and I am also guilty many times myself. But, we really do need to be disciplined and look for other buying signals, not just a decline in value, before we make our decision to commit our hard earned savings. The bitcoin price is dropping again, well below 6000 USD just as I am writing this and last week, yes, I was indeed tempted. But only tempted fortunately. Like many, I have been studying the last few years of Bitcoin values. There have been so many ups and downs and it is easy to be wise on hind-site. Had I have purchased just 1 bitcoin back in early 2017, I would be 5 times richer today to the tune of 5000 USD. Where else could you ever get that kind of return with traditional investments? When Bitcoin was first launched by its legendary creator, Satoshi Nakamoto, (almost certainly not his or her real name) the bitcoin value was just a few cents. 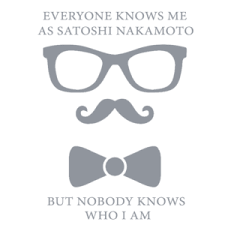 Satoshi is now believed to own 980,000 bitcoins, from the early days of mining and has still not cashed his/her coins. This amount currently equates to a value of almost 6 Billion USD as of June 2018 - Wow. But the point here, is that the spikes cannot be predicted. You could argue that, no traditional currency (also known as "fiat") values can ever be fully predicted, especially when caused by major World events. But at least the prediction is far more reliable and the line much smoother with few real spikes, than with Crypto currencies. So, with Bitcoin, the gains are potentially far higher, huge in fact, but let's say that "most people" can never see them coming and would usually need an extraordinary degree of luck to do so. On the other hand, be mindful that any such Bitcoin losses could be equally dramatic and catastrophic for your hard earned funds. Some believe that we have not yet found the "norm" for the level of Bitcoin, if such a thing exists. But this could be the basis for your own investment decision. For instance, if today's BTC price was say, 5000 USD and you believe, based on your study of the BTC average value history, combined with your other research, that the norm should be somewhere around 10,000 USD, then if this is your firm mindset and belief, maybe you should be buying bitcoin today. I therefore think that the right time to invest, may present itself at different stages to different people, depending on their own research, circumstances and beliefs. Beliefs and hunches can sometimes be useful, but always try to be in control and try not to allow too much emotion to govern your thought process. That can prove a costly strategy. I should also mention here that there are of course other Cryptocurrencies, such as Ethereum, Litecoin and many others and my same views here applies for all. As you would expect, you can find information on these currencies from countless online sources. What level of Crypto Currency investment should I be looking at? I can only give my own limited approach, which is not really clever and that is based on a long term view, not one for short term gain. As mentioned previously, you need a lot of luck for that. I have a small budget set aside for investments/savings and buy a regular small fixed amount of Bitcoin each month. By this, I am referring to fractions of bitcoin, not whole bitcoins. I try to review this, not monthly, but each quarter, and see how things are going. I consider a break-even, or even a minor loss in a positive way. I try to be patient and ignore the media scaremongering and formulate my own opinions. I find that the use of science and data, such as plotting a graph to track, helps me to stay analytical and factual. You may want to try for yourself. I am reliably informed that this cautious method has resulted in many successful investments over the years. Remember the overriding rule: Never put in more than you can afford to lose. Perhaps this should really be question number 1, as withought a firm belief in the future of Cryptocurrency at least, then maybe you should end your efforts before they begin. If this is the case, do not feel bad. You may in time be proven right, wrong or indifferent. I think that if anyone does not have the absolute firm belief that Cryptocurrency, in one form or another, will be here to stay, then they will be unable to make a meaningful investment. The alternative would be to look for a quick short term profit within Cryptocurrency, which remember is a highly volatile young high technology market. It could work, you may be one of the lucky ones. But many would fail if this were their financial strategy for life. As mentioned previously, I believe fully in the future of Cryptocurrency. I am stressing the word Cryptocurrency particularly, as the Bitcoin life and supply is limited. As you may have already read, like gold, Bitcoin is a finite resource. There will only ever be 21 Million Bitcoin that can be digitally "minted" or mined. This has always been built into the algorithm, after which they will all be in somebody's possession and traded, spent or hoarded. The estimate is that by 2047, all available Bitcoin will have been mined. The point here, is that this is just the start of the Crypto currency revolution. There are countless other digital crypto coins being created and traded. There is for example another, currently less valuable coin, called Litecoin. A reasonably helpful way that many think of Litecoin, is as Digital Silver, compared to Bitcoin being referred to as Digital Gold. Unlike Bitcoins' 21 Million coin supply, Litecoin has 84 Million coins to be mined. Plus there are many, many other emerging Cryptocoins, all with particular features and affordability. "What is the future of Cryptocurrency?" 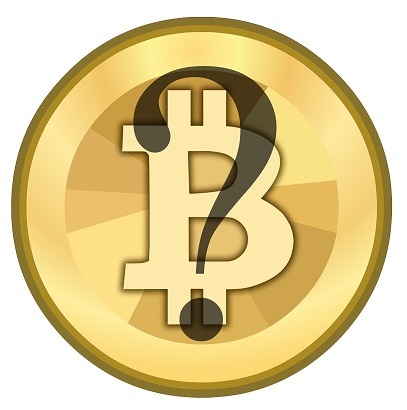 is perhaps a better question, rather than just, "What is the future of Bitcoin?". Have a look at the rest of the site and check some of the various links and resources, plus the Bitcoin Glossary page. Maybe you will be able to find the time to learn all this in great detail and become the goto Bitcoin / Crypto person within your group of friends. So, will you invest in Bitcoin and Cryptocurrency? Finding a lump sum for any kind of investment is a big step, especially within the still comparatively young, volatile digital currency industry, which, as as we mentioned, is quite a new concept for many, or even unheard of for some. There is a way to invest and build your Bitcoin collection, gradually and painlessly, working with like minded people. 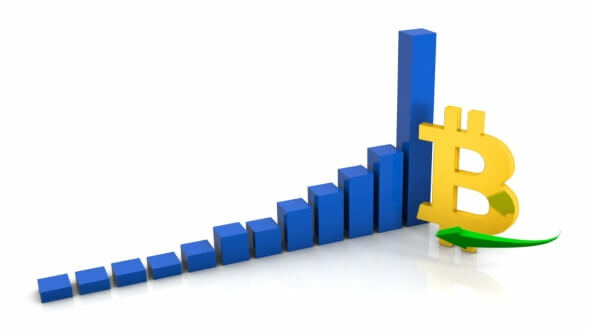 The FXTrader system enables you to invest a small amount of Bitcoin, which will build slowly but surely, rather than find money for any heavy, upfront investment. You can track the daily growth of this investment when you become a member. I personally have invested a modest sum in this and can confirm an average daily growth is being acheived of around 1.5%. (it does flutuate) This is on track to quadruple my investment in 200 days. This is an unheard of growth that could never be acheived with any regular savings account with a bank etc. You can gain further information about FX Trading Corp here. There is also a growing questions and answers page, which tries to answer many of the things that I wanted to know when I joined and which may be in keeping with some of your thoughts.